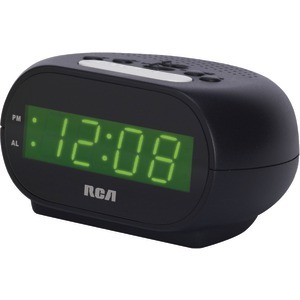 RCA RC220 Soft Light Clock Radio with Motion Activation Built-in Soft Light - Convenient Light on the Nightstand Motion Activation - For Night Light On/Off and Snooze AM/FM Radio with Preset Radio Stations Display and Night Light Brightness Control Features 0. 9""Blue LED screen and dual wake function . 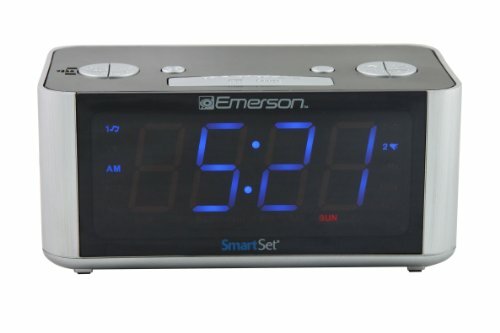 Emerson CKS1708 SMARTSET PLL RADIO ALARM CLOCK WITH 1.4" BLUE LED - Digital Tuning AM/FM Radio. 20 Station Memories. 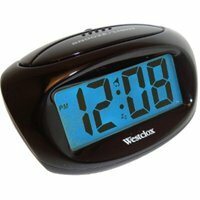 Easy-to-Read 1.4" Blue LED Clock Display. Dimmer Control. Dual Alarm with Sure Alarm. Week Indication & Choice of 3 Alarm Modes: Every Day Weekdays Only or Weekends Only. Patented SmartSet Automatic Time Setting System. Automatically Sets Itself to the Correct Year Month Date Day and Time as Soon as You Plug It In and After Every Power Interruption. 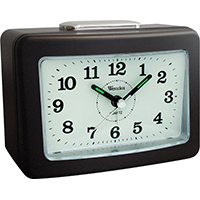 Button Cell Battery (Included) Maintains Time and Alarm Settings. Displays Month/Date at the Touch of a Button. Automatically recognizes DST. Wake to Radio or Buzzer Alarm. 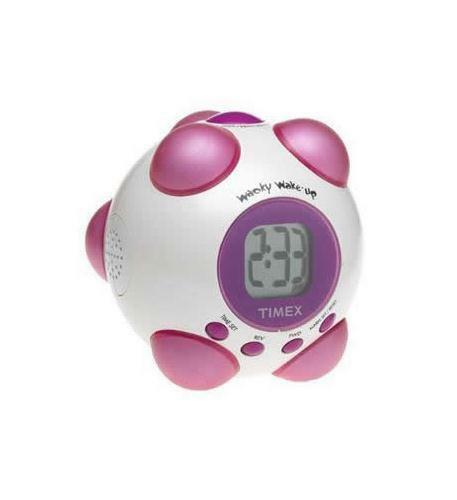 Programmable Sleep-to-Music Timer. Snooze/Repeat Alarm. 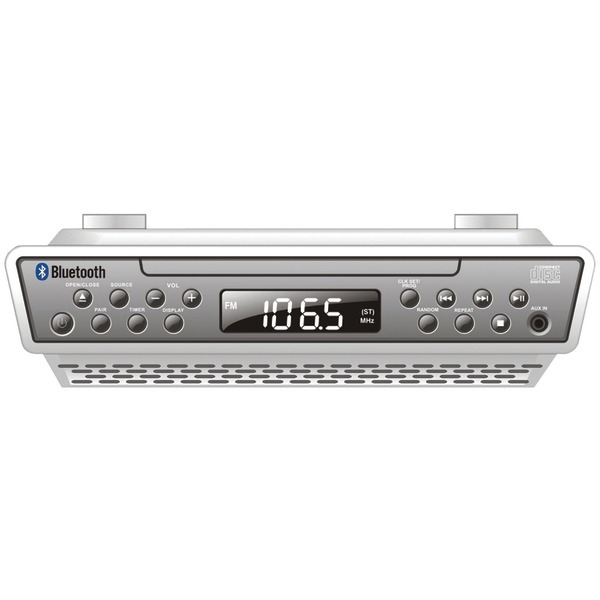 Digital Volume Controls for Radio. AUX-IN. 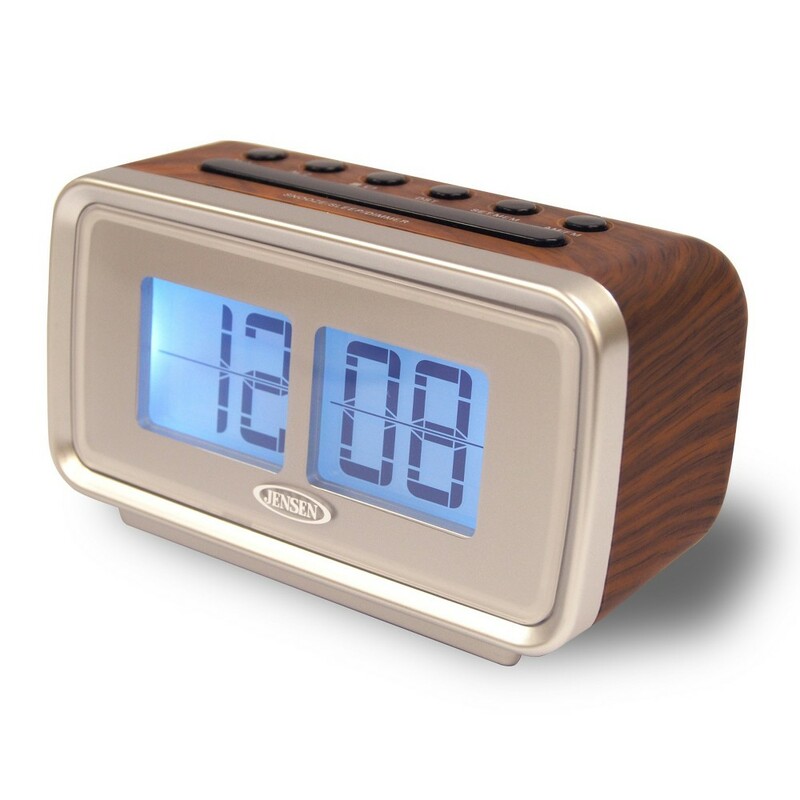 Crescendo Wakeup Control. Output Power: 250mW @10% THD. Wide-Range Dynamic Speaker. Built-In AM and FM Antennas. Unit Dimensions : 6.5" W x 3.5" D x 3.0" H (Approx.) This item cannot be shipped to APO/FPO addresses. Please accept our apologies. The Royal TC100 Plus is perfect in any small business. Easy to read backlit digital display. Displays day of the week date and time in 12 hour or 24 hour format. 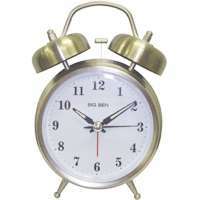 Automatic Shift Change will change between regular time (morning/afternoon) and overtime or by pressing just one button. Black and Red Printing Color: Automatically changes printing color depending on the daytime and weekday. Detailed Printing: Prints day hour minute choose 12 or 24 hour format. Increased Print Accuracy: manual adjust the height and horizontal position. Internal Calendar: Automatically adjusts for number of days in the month leap year and daylight savings time. 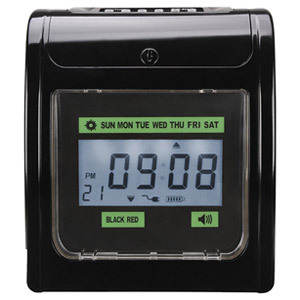 Internal Battery Backup Protection: protects time and date settings during power outage. Wall Mount or Table Top Installations. Uses Standard Time Cards. This item cannot be shipped to APO/FPO addresses. Please accept our apologies. 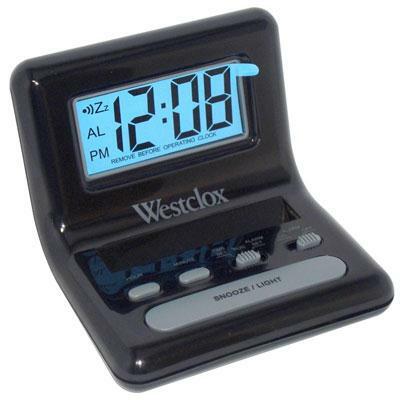 Westclox Black Bedside Digital Alarm Clock with Digital LCD display Blue Backlight Alarm & Snooze. This item cannot be shipped to APO/FPO addresses. Please accept our apologies. 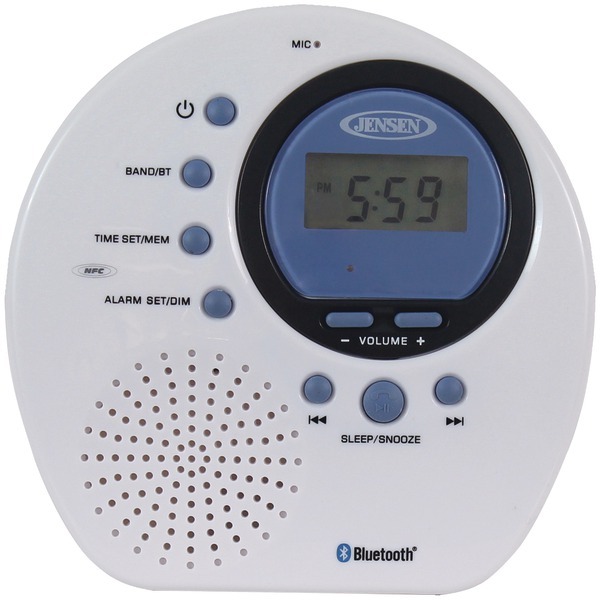 Westclox 0.6" Digital LED display Alarm with Snooze Adjustable Alarm Volume (Hi / Lo) Battery Backup This item cannot be shipped to APO/FPO addresses. Please accept our apologies. 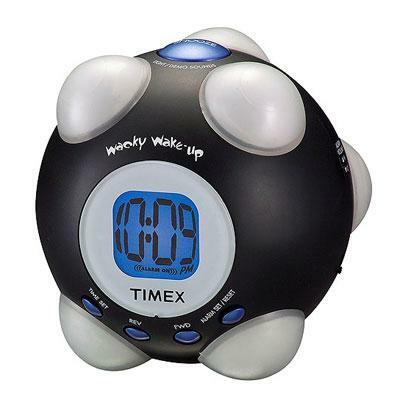 Intellitime Alarm with USB. 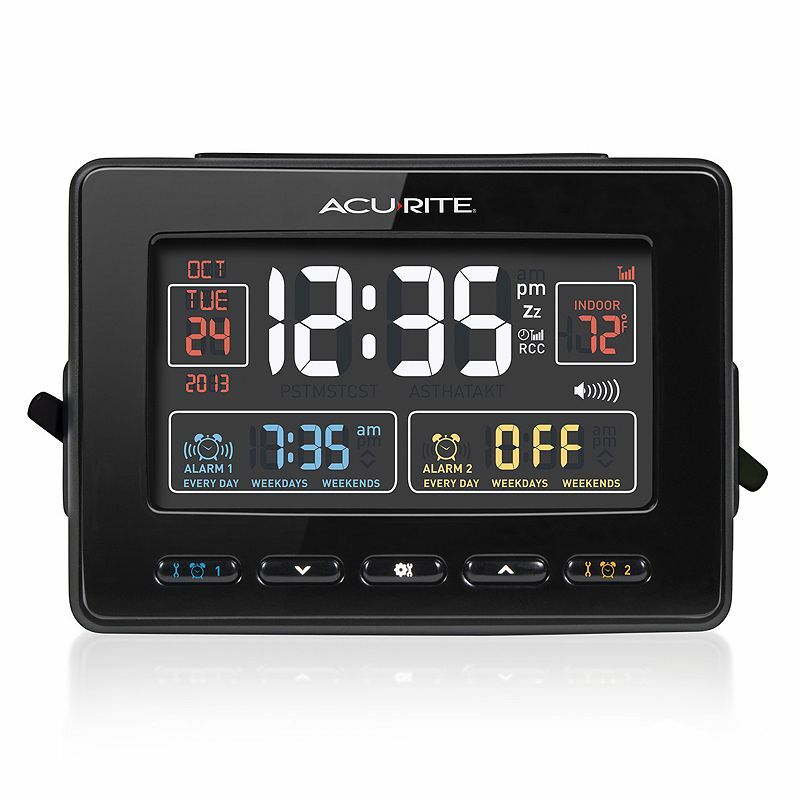 The AcuRite Intelli-Time Alarm Clock features an illuminated color display with indoor temperature (Fahrenheit or Celsius) indoor humidity clock date day of the week moon phase and alarm. The integrated USB port charges compatible smartphones with 1.5 amps of power. 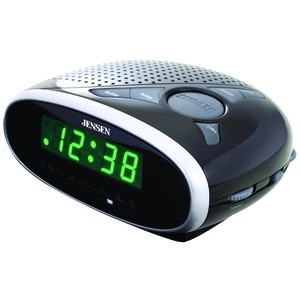 The clock's alarm gradually increases in volume over a two minute time span to wake you up on-time and peacefully. 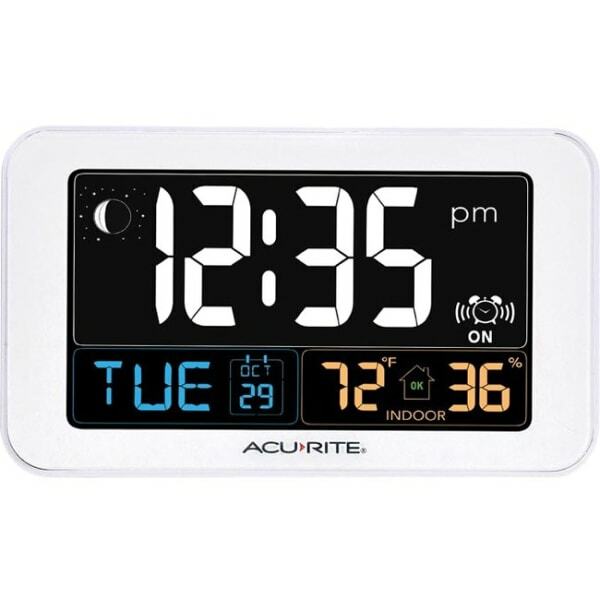 Featuring AcuRite's exclusive Intelli-Time technology the clock comes pre-programmed with the correct time and date. 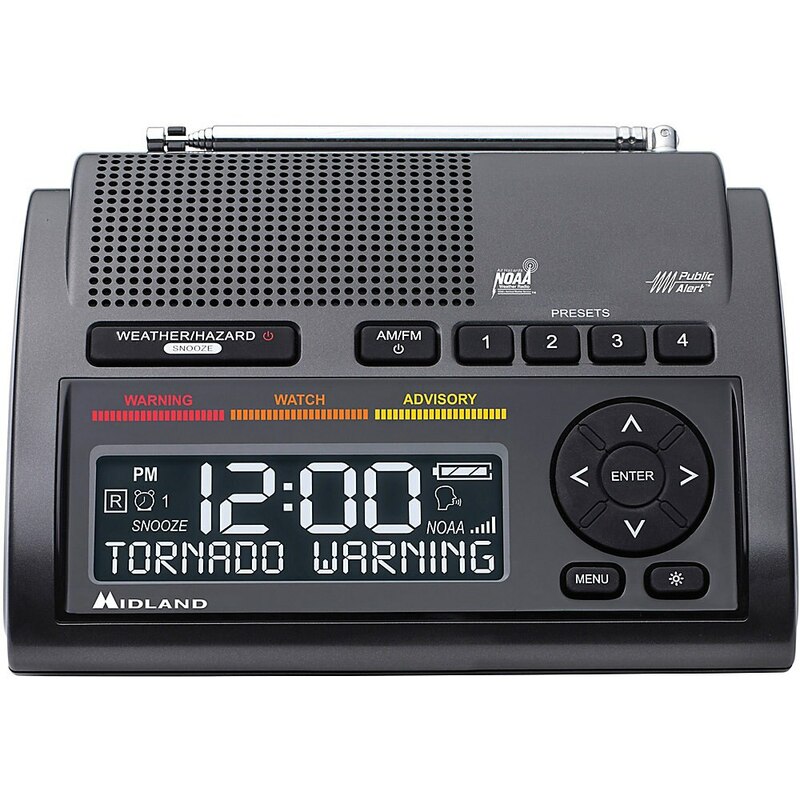 It automatically updates itself for Daylight Saving Time and maintains time and alarm clock settings even in the event of a power outage. Temperature and humidity can greatly affect quality of sleep. The clock displays the indoor temperature with a home comfort icon that easily indicates high low or ideal humidity level conditions for your bedroom. 72" cord. One-year limited warranty. It's more than accurate it's AcuRite. This item cannot be shipped to APO/FPO addresses. Please accept our apologies. 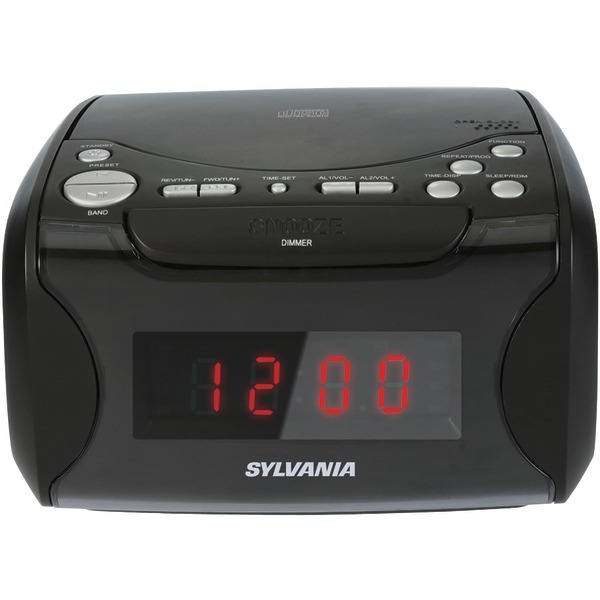 Atomic Dual Alarm with USB. 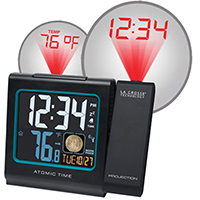 The AcuRite Atomic Dual Alarm Clock features an illuminated color display with indoor temperature atomic clock date day of week and two alarms. Offers the convenience of USB charging for compatible smartphones. 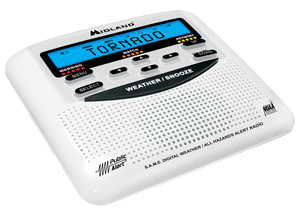 The dual programmable alarms can be set for everyday use weekdays or weekends only. 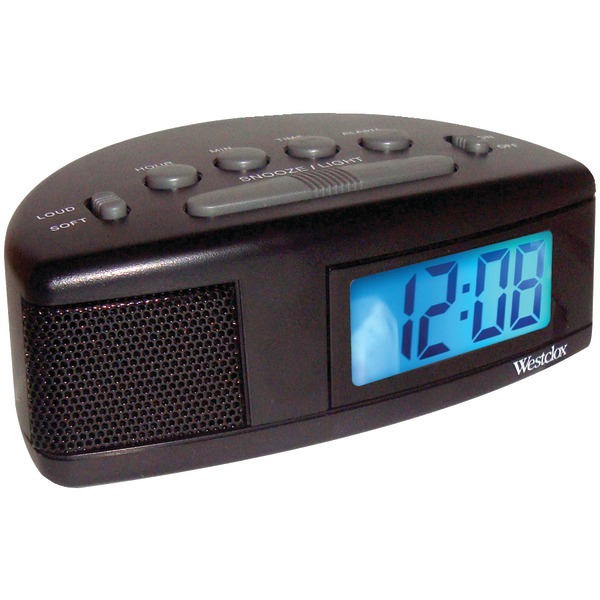 Atomic clock is radio-controlled to synchronize to the correct time broadcast by the National Institute of Standards and Technology (NIST) Radio Station WWVB for split-second precision accuracy. 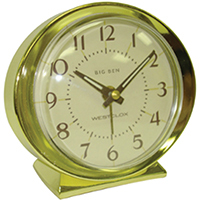 The clock automatically adjusts itself for Daylight Saving Time (DST). 72" cord. One-year limited warranty. It's more than accurate it's AcuRite. This item cannot be shipped to APO/FPO addresses. Please accept our apologies.